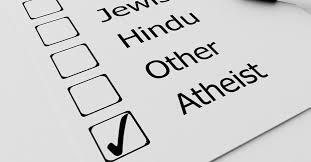 Many people who claim to be atheists and agnostics in the world have made their choice regardless of the abundant evidence against them. Atheism is a “disbelief in or denial of the existence of God or gods” (The American Heritage College Dictionary). And an agnostic is “one who believes that there is no proof of the existence of God but does not deny the possibility that God exists” (Ibid.). These two related philosophies have become more and more common in our world. One authority says that there are 49,049,539 agnostics and 2,842,405 atheists in America. (It is interesting that there are vastly more people who claim to simply don’t know if there is a God or not as compared to those who firmly disbelieve in God.) (The World Almanac and Book of Facts 2016, p. 697). This would appear to be some 20 percent of the country’s population (about 50 million in 335 million), but perhaps this number is inflated since others claim that up to 90 percent believe in some sort of Higher Power.
. . . There are 450 to 500 million positive atheists and agnostics worldwide (7% of the world’s population), with China having the most atheists in the world (200 million convinced atheists). (en.wikipedia.org/wiki/Demographics_of_atheism). 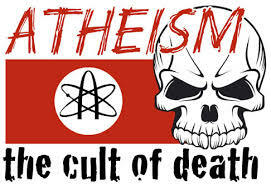 Our guess is that this article, written on atheism, is exaggerated in its claims, but, even if it is not, it does point that that some seven percent of the earth’s population consider themselves either atheists or agnostics. Our thinking is that it is a bit more realistic to be an agnostic than an atheist, for it surely would take a great amount of pride, blindness, and faith for one to say that he is certain that there is no God. The Bible doesn’t use the terms agnosticism or atheism. It simply refers to unbelievers. For example, Jesus says, “He who has disbelieved shall be condemned” (Mark 16:16b). He says further, “He who does not believe has been judged already” (John 3:18). An atheist is one who does not believe in God or in Christ Jesus, while an agnostic is similar, for he does think there is enough evidence to convince him that there is a God (but he leaves the door open to the possibility that God does exist). Actually, Scripture points out that there are no true atheists. Everyone knows, in his heart, that there is a God even when he chooses not to accept Him. Paul says, “That which is known about God is evident within them; for God made it evident to them” (Romans 1:19). He goes on to explain, “Since the creation of the world His invisible attributes, His eternal power and divine nature, have been clearly seen, being understood through what has been made, so that they are without excuse. For even though they knew God, they did not honor Him as God or give thanks. . .” (Romans 1:20). Thus we see that all men and women know in their heart and mind that God exists and that they are accountable to Him. The only way to deny the abundant evidence of God’s existence is to have a closed mind and heart. Those who want to continue in their sin have amazing ways of denying the One who holds them accountable and will one day judge them! We’ve called this kind of unbelief “The pathetic, hopeless, and Impossible Choice.” Maybe you have known people professing atheism who say that they simply don’t believe in God or His Word. 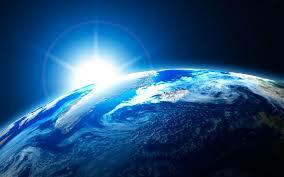 They claim that we are merely naturalistic organisms and not human beings, made in the image of God (Genesis 1:26-28). They say that when they are dead, they will just be like the family dog—they will cease to exist. 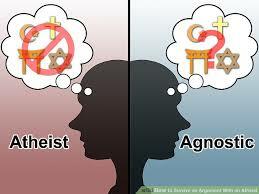 Agnostics are not much different. They would say that they know of no evidence that would convince them that God exists or that He has spoken in His Word. They too would be naturalistic in outlook. This view is pathetic since it arouses “sympathetic sadness and compassion.” It is hopeless since there is no hope for life after death. Death ends it all. All of life’s endeavors, plans, and hopes will come to an abrupt end, and one will just cease to exist. It is impossible—for any way that we look at this, the future is dim, sad, and hopeless. In fact, from a Biblical standpoint, the future is not only without substance, but the reality is that such a person will face God in judgment and then he will need to suffer the eternal wrath of God and the burning fire of the lake of fire. Jesus Christ, in the book of Revelation, says that the “unbelieving” (the atheists or agnostics) will have their part in the lake of fire (21:8). Someone said that he would rather assume that there is a God and a future judgment. If he is right, then all will be fine for all eternity. His life will have been spent in hope and expectation for the future. But if he is wrong, and there is no life after death, then his future may not be one of eternal conscious bliss but at least he will have found meaning in life here and now. On the other hand, if he is right and the atheist is wrong, both will be aware of this throughout eternity! The unbeliever who was mistaken will need to face God in judgment and eternal wrath that has been reserved for unbelievers (Revelation 21:7-8; 14:10-13). We understand this reasoning but it is not quite this simple. There is abundant evidence for the existence of God and one’s pursuit of eternal life is not at all in vain. Looking at this from a purely rational standpoint, if there were only one possibility in a hundred that God and eternal life is true, it would still make sense to live one’s life with this possibility in mind. But reverse this: If there is a ninety-nine percent possibility that God and eternal life are true, it would be utter insanity for one to deny this and life without God and life in mind. In reality, this argument is very deficient. It is more like one possibility in a quintillion that that atheism is true and a belief in God is not. This means that it is certain that God exists and eternal life is true. Many arguments could be marshaled to show this. What are the possibilities that life could have spontaneously arisen from primeval slime? Absolutely zero. In other words, it is absolutely certain, without any doubt at all, that life could not have come from non-living matter. Thus, evolution is totally ruled out and with that all possibility that atheism is correct. Further, there is abundant evidence that Jesus Christ rose from the dead after four days. What is the possibility that a person could be raised from God (and also could raise Himself—John 2:19, 21) after being dead for four days? Absolutely zero. The resurrection is evidence of the existence and activity of God! Thus, it is not that there is one possibility in a quintillion that God is true, but there is absolutely no possibility that God doesn’t exist. Atheism is false and even foolish. “The fool has said in his heart, ‘There is no God’” (Psalm 14:1; cf. 53:1). Here is another matter to consider. If evolution were untrue, then how did you and I get here? What is our origin? Many years ago, I read a book entitled Why Scientists Accept Evolution. The authors pointed out that if a person wants to life with himself the center of his life and wants to sin with impunity, then such a person is likely to reject God. If God is rejected, then the person feels freer to live an independent life, without restraint, and without any control or law. He is free to do what he wants. One can’t reject God because there is no evidence for His existence, but there is abundant evidence, thus we can’t reject Him. If evolution is impossible—which could be proven from a hundred different directions—then there must be a Creator. And that Creator is God. 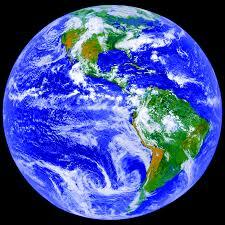 He is the Creator God!”It is He who has made us, and not we ourselves” (Psalm 100:3b). “God created man in His own image, in the image of God He created him; male and females He created them” (Genesis 1:27). If evolution is false (and it is false), then humanity must have arisen by some means. And that means is God Himself. Do we realize the absolute futility of living without any hope in the future? Without God, a person would be required to live for a few more years and then die. He would be without hope and without any means to live a life of love for the benefit of others. He would be nothing. A mere animated piece of flesh that will be nothing at all. How much more fulfilling and hopeful it is to realize that God does exist, that He is what the Bible describes, that Jesus Christ did die for our sins and rise again, and will one Day return for His followers. 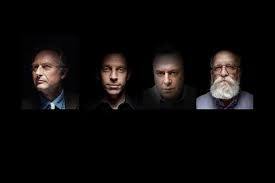 Atheism is not only false but also vain and empty. Atheism gives no basis for morality, but Christianity does provide such a basis. If God were not true, then each person would decide for himself what to believe and how to live. There would be no universal rule of right and wrong. But if God did raise Jesus from the dead, this Savior would provide a hope for the future now and provide information on how to live an abundant life now and the eternal kingdom. It is always so pathetic to think of a friend, an acquaintance, or anyone else to say that he or she doesn’t believe in God. That person thinks (or so it would seem) that when he dies at any time, that is the end. (As I mentioned before, above, people are not really atheists for in their deepest heart they know that there is a God, even when they deny Him!) Doesn’t it also seem futile to you as well? Think of living for 60, 70, 80, or more years and then fall into destruction and oblivion! One would be left to say, with Solomon, “I considered all my activities which my hands had done and the labor which I had exerted, and behold all was vanity and striving after wind and there was no profit under the sun” (Ecclesiastes 2:11). He went on to lament, “I completely despaired of all the fruit of my labor for which I had labored under the sun” (2:20). Such is the attitude of one whose life is cut short to a state of nothingness. Of course, we do know that death would not end everything for the atheist or agnostic. No, such a person would be condemned (Mark 16:16) and judged (John 3:18), lost without God and the only means of salvation and eternal life—Jesus Christ (1 John 5:11-13). Let this not be true of you! Come to God through Christ Jesus today. Find forgiveness, salvation, and life without end!